More from Lundarreykjardalur. 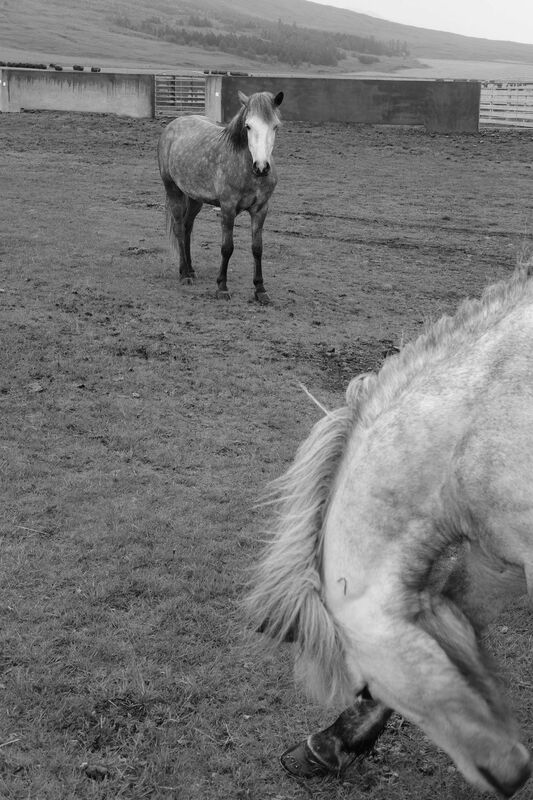 The horse in the foreground is scratching its face. The foal in the background looks perplexed.